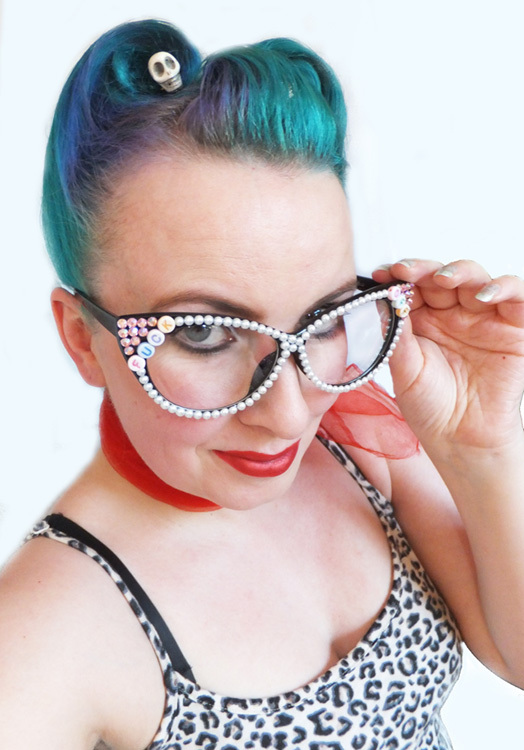 Pearls and crystals swear Cat Eye Glasses. 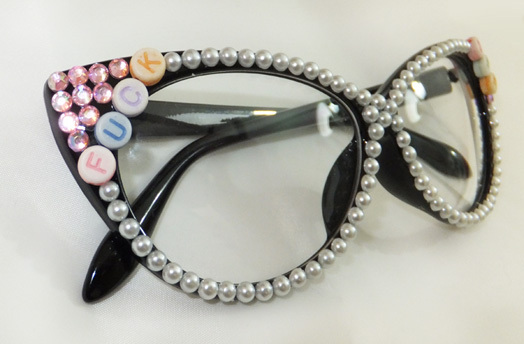 Available with other letter motifs (or your custom words): " No Lady", "Geek Girl", "Love Hate", "Hands off", "Meow Kitty". 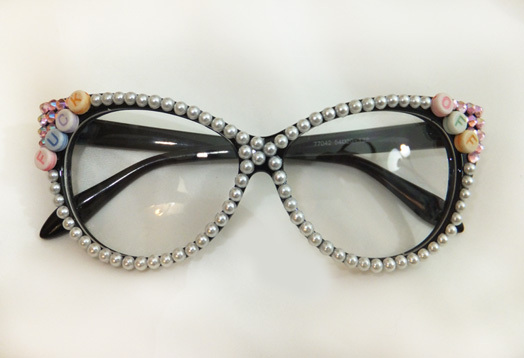 Available as standard (non prescription) glasses or sun glasses with black lenses. 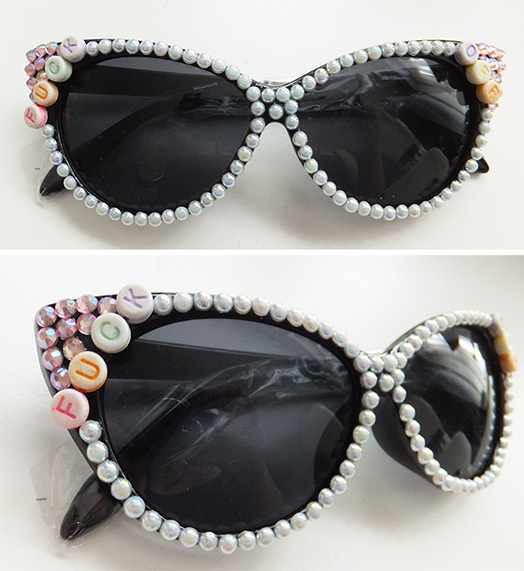 Size: 15cm (across at top) x 4.8cm at widest point (centre of frames).